In October I wrote about my goals for the upcoming months... Here's an update on that! So far, I've accomplished 2 out of 3 of my goals! 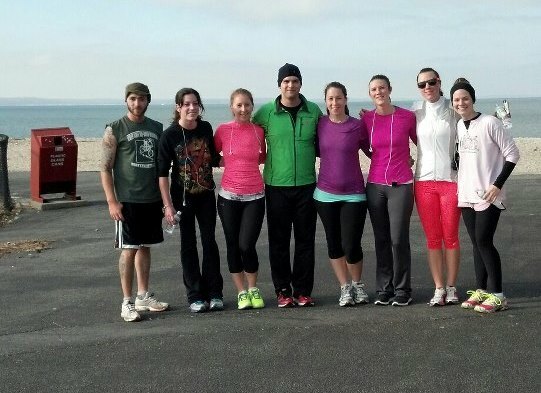 I ran a 10K last week (on Thanksgiving) with my sister and some of our friends. It was great to get out and run! I also came up with a business idea! I'm in the process of patenting and trademarking the idea. I'll be sharing my experience here, so stay tuned for more information! A little teaser, Gunner was my inspiration! The last goal for this year was to be halfway done with my MBA and I am on track to do that! Only 2 more weeks of classes and finals, and I'm onto the next semester! Only 30 credits to go! More to come later today on the Mass TLC Unconference!